Our stainless steel drink ware production is a joint effort between our in-house printing line here in Knoxville,TN and our manufacturing partners overseas. We each provide something particular to the supply chain that fits our abilities and ads to the end product’s value. Here at GameTime Sidekicks, we print the licensed logos on our entire tumbler line. We have a state-of-the-art printer lineup that uses UV LED Technology to ensure all logos are the exact colors of your favorite school or team. As we grow our brand, we look forward to creating new opportunities here in Knoxville, TN to expand our GameTime Family. This is where the raw Tumblers are shaped and vacuum sealed. Our partners over the pond are extremely skilled and knowledgeable when it comes to producing a high quality tumbler. High grade machinery and manufacturing techniques ensure a top performing tumbler as well. 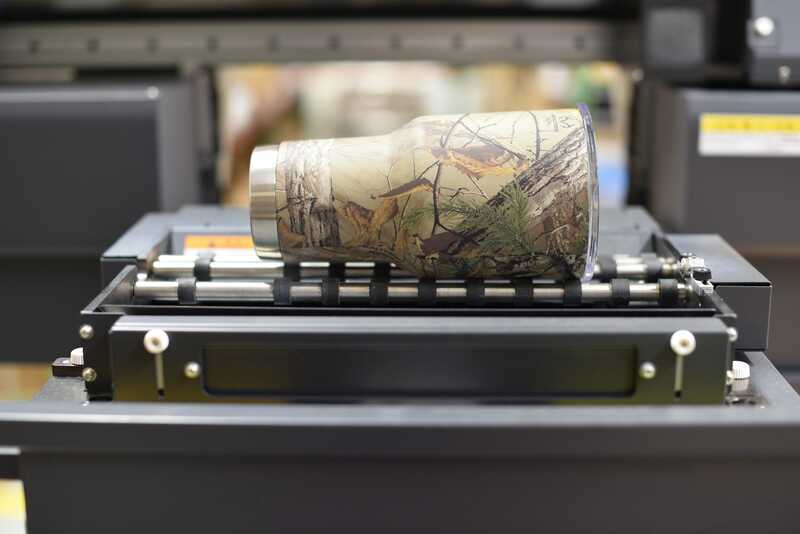 No corners are cut since these corners are what separate us from other tumbler brands. All this is done so fans can Carry Their Team proudly and not sacrifice quality or performance. At Gametime Sidekicks we view and value our manufacturing partners as more than just business associates and our commitment to them goes beyond social responsibility. Fair wages and conditions are just the beginning as we truly do view them as part of the GameTime family and want to create business opportunities that not only allow our business to grow, but theirs as well. We visit them almost once a month and sincerely enjoy our time together while constantly look for ways to strengthen our commitment to them and their success.